Enjoy your Easter with family & friends…… we will be closed all day Easter Sunday and reopen again Monday at 11am. Every month on the second Tuesday is Ukulele Night. If you play or would like to learn bring your Uke and join it. It’s a fun family sing-along, so it’s easy to join the fun… play your Uke, sing along, tap your toes, or just sit back and be serenaded. That’s Tuesday April 9th 6:30 to 9pm! If you’re not here your friends will miss you! Uke Night at Charlie’s Pub & Eatery is a weally fun time! Comments Off on Friday is Pasta Day! Charlie’s Pub & Eatery is Edinboro’s Family Restaurant & Pizza Pub! Comments Off on Happy New Year from Charlie’s Pub & Eatery! As we think back on the year just past there certainly were a lot of fun happenings at Charlie’s Pub…. Car Cruise In’s, Uke Nights, birthday parties, and team celebrations, but mostly just families and friends getting together at Edinboro’s Family Restaurant & Pizza Pub. We’re looking forward to 2019 with more fun and some new things here at Charlie’s so keep us in mind when your family needs to get together! Charlie’s Pub & Eatery will be closed ALL DAY – New Year’s Eve & New Year’s Day to allow our crew to celebrate and spend time with their family & friends. We will re-open Jan 2nd, at 11am….. come see us for lunch! Comments Off on Merry Christmas From Charlie’s Pub! Charlie’s Pub & Eatery would like to wish all our customers & friends a very Merry Christmas. Charlie’s will be open Christmas Eve from 11am to 5pm and will be Closed ALL DAY Christmas Day. We hope you are all able to enjoy the holiday with family and friends and we will see you December 26th at 11am, and REMEMBER…. Santa likes pizza more than milk n cookies! December Ukulele Night Scheduled for December 11th! Comments Off on December Ukulele Night Scheduled for December 11th! Happy Thanksgiving from the Crew at Charlie’s Pub & Eatery! Comments Off on Happy Thanksgiving from the Crew at Charlie’s Pub & Eatery! Wishing all our friends a very happy Thanksgiving, and hoping you are able to spend it with family and friends. Charlie’s Pub & Eatery will be closed all day Thanksgiving Day and reopen Friday at 11am! Happy Thanksgiving from Edinboro’s Family Restaurant & Pizza Pub! 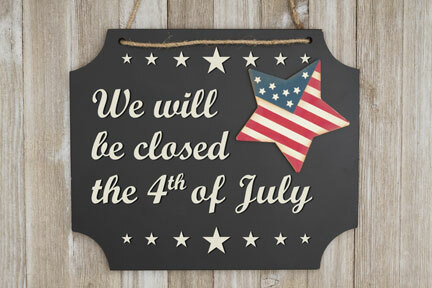 Charlie’s Pub will be closed all day July 4th so our staff may spend the day with family and friends. We will re-open again July 5th at 11am. Charlies Pub & Eatery will be closed all day Monday May 28th in observance of Memorial Day. As you spend the day with your family, please take a moment to remember those that have fallen in service to our nation. We will re-open Tuesday May 29th at 11am. Holy Ukes Batman….. It’s Tonight! Comments Off on Holy Ukes Batman….. It’s Tonight! Wow… hard to believe it but another month has gone by and it’s time for the monthly gathering of the Ukes. Just a good old fashioned family fun sing along… join us at 6:30pm to sing, tap your toe, play your Uke, and enjoy a good time with the gang at Charlie’s. Remember…. your friends will miss you if you’re not there!